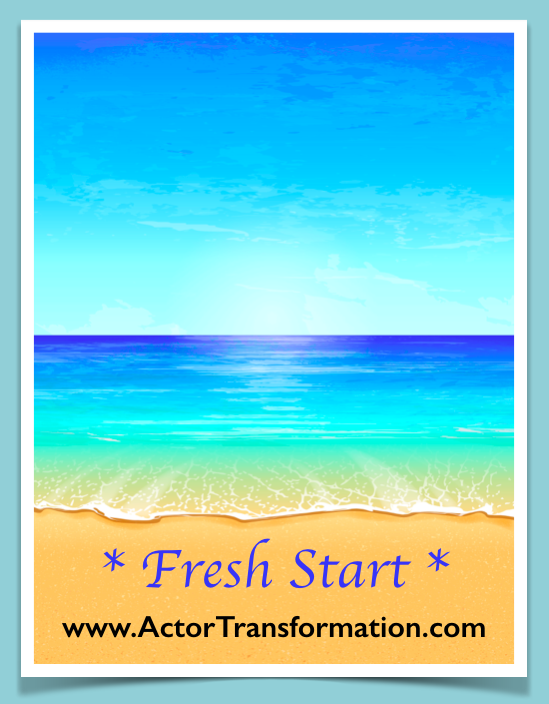 January always signifies a fresh new start. But how many actors actually set strong goals for the New Year? There is a saying … “A goal that is not scheduled on your calendar is a “Dead Dream”. I know that sounds harsh but there is absolute truth behind it. If your goals are just abstract longings with no plan attached… then you might find that you have the same goals year after year. If you ever find yourself just kind of hoping that this year will be better than last year… then you are not alone. That is why most “New Year’s Resolutions” are forgotten by about January 3rd. Your “Big Picture” goals should absolutely be huge… pie in the sky kind of dreams. Those goals stay put. But when we work backwards and figure out what we need to accomplish this month in order to have our big picture goal in 5 or 10 years…then we have to put a plan into action. Your immediate goals that you make for yourself for let’s say, the next 30-90 days …should be 100% up to you! And they should be based on YOUR actions…. Not the actions of others. If your January or New Year’s goal typically looks something like: “Get a new agent”. Then we want to shift it into phrasing that is action-oriented. You could schedule something like “Contact 10 agents in 10 days”. Because it has urgency attached to it and it is 100% up to you … and the success of the goal does not depend on anyone else or any THING other than you putting forth the effort. Simple. When you commit to taking ACTION on getting representation instead of just wishing and hoping an agent will sign you, it puts YOU in the driver’s seat. But whatever your goals are… remember that there will always be another goal. It is a never-ending process if you are committed to a successful acting career. There will always be more to do and there will always be more to learn. That is what keeps us moving forward and keeps our careers exciting! So pick a goal that thrills you and get’s you to jump out of the bed in the morning. Shift the wording so your 30 day goal is 100% up to you. And get out there! I look forward to hearing your successes for this month and beyond!